This past Friday, May 27th, was Jim Koch’s 67th birthday and, as we do every year we take this week to revisit Jim and Boston Brewing. 2016 is a year in which we find Boston Beers in an unfamiliar position, a position which is driving pundits to question the future of the brewery. Recently, Berenberg, the German firm, upgraded SAM from sell to hold. Part of their change is that SAM’s share price has fallen 55% since its high in January 2015. Berenberg goes on to say that SAM is ripe for a takeover considering the drop in share price, failure to turnaround core brands and that SAM has a “key asset” with their distribution network. That in itself would be attractive to a large foreign investor/brewery. All of these points are well taken, but Berenberg also states that they believe Boston will soon begin to lose some SKUs in the off premise where they enjoy almost four SKUs more than the average craft brewer. They estimate this reduction would mean an additional volume loss of -14.8%. That is a big number! Boston is being squeezed on both sides of the craft spectrum. Large companies ABI, MC, Constellation, and now Heineken, have purchased large, successful crafts and are pumping resources into these companies that were not previously available to them. On the lower end of the spectrum, the local start-ups, who are new, are tied into their customers much more than a large national company as Boston is capable of doing. Considering all of the above, one wonders if, Boston left behind their core vision. For years Jim was determined not to develop a light craft beer, however, he finally did, Sam Light, over 10 years ago which is still one of his better sellers. While Boston had a number of flavors and specialty beers at that time, once Sam Light hit the market it almost seemed to open the door for a number of new products. The question in this year is Boston trying to be all things to all people? Has Boston lost its focus on its core business and gone to the extreme? Would Boston have been better off by just focusing their IPA efforts on one, successful brand, Rebel, instead of adding two line extensions to Rebel? No doubt the Rebel introduction was highly successful in the crowded IPA segment, but was a Rebel with a higher ABV and a lower ABV really smart? Twisted Tea, Travelers, and Angry Orchard can all be called successful, but in many ways have transformed Boston from a craft beer to a beverage company. Not that there is anything wrong with this model, but clearly something is not working right now. One can bet that Boston is being closely watched by a number of possible acquirers including all the big boys. If someone does get Boston, you can be assured that the landscape will change dramatically. Boston will need to move quickly to bolster their stock and stave off any advances; however, it might be too late. This week next year when we look back at Boston Beers it will be interesting to see how all this unfolds, but until then, happy 67th birthday to Jim! Nielsen numbers on the beer industry, ending May 7th, show beer case sales down once again to -1.3%. While year-to-date numbers still are positive, it is too early to say if these recent numbers will continue or not. No doubt one of the biggest contributors to the industries’ slow and negative growth in recent years, has been the lack of growth in the US economy. It is simple, economic growth translates to jobs and sales. Job creation was a key reason prohibition was repealed. During the depression, unemployment was around 25% and breweries lobbied Washington with job creation by repealing the 19th amendment. The repeal worked and thousands of people obtained jobs at breweries, wholesalers and retailers. It was a win-win for everyone. 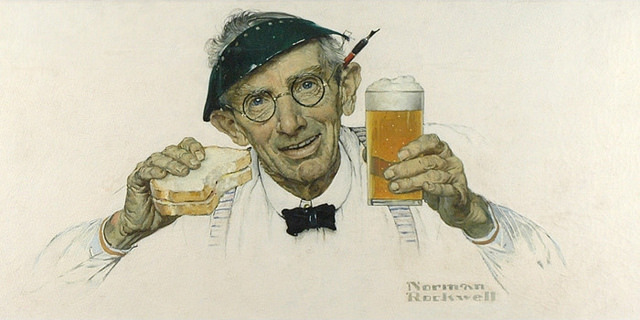 The subsequent years brought growth and success for beer, and in the 1970s, the NBWA began a publicity campaign explaining the economic impact of the beer industry and what it meant to the US economy. Smart. It is not often these days that the industry receives good news, even though the craft segment has brought a new enthusiasm to the industry. It is true that crafts have brought a new excitement to beer, but there are still negative issues. The industry needs something that it can build on and unite all parties. At the Craft Brewers Conference it was announced that The Smithsonian and the CBC were going to work together to add crafts to their upcoming exhibition on beer. 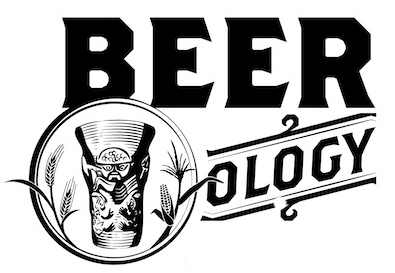 They have entitled the exhibition BEERology: Craft, Culture, and Civilization. It is a three-year initiative to collect, document and preserve the history of brewing, craft brewers and the beer industry and to explore how the beverage industry and brewing beer connect to larger themes in American history. BEERology is made possible in part through a donation from the Brewers Association. The Smithsonian Traveling Exhibition service is partnering with the San Diego Museum of Man and will travel to museums across the country beginning in the summer of 2017 with over 60 archaeological artifacts from across the globe, all relating to beer or fermented beverages. The exhibit also explains the contemporary craft beer industry and how it experiments with ancient styles, ingredients, or methods. The schedule to the cities has yet to be announced, but one should expect to see record attendance at each city. To help the Smithsonian, there has been talk of the museum enlisting the industries’ assistance. Perhaps both the BA and the NBWA should get behind this worthy project. It has been suggested that the Smithsonian create an advisory board of industry brewers who can advise and promote this exhibition. The museums that host this exhibition should serve, to all legal visitors, beer that is locally and regionally brewed, as well well as promote local breweries on site with their management and sales teams. It is not often that the beer industry can get behind a special program that not only focuses on the beer culture, but will promote it as well. This will help everyone in the industry. Let’s all get behind The Smithsonian with this project. In the 1970s, the beer distributors west of the Mississippi River were represented by not only their state associations, but by a regional assocation, the Rocky Mountain Conference of Beer Distributor Associations, headquartered in Phoenix. The members met twice a year, frequently at a resort. At the end of the decade, the association’s winter meeting was held on the Pacific Princess, otherwise known as the Love Boat from the popular TV show of that era. The first morning of the cruse, I wandered the ship in search of the meeting room. There were a number of names written on the sign-in sheet, all distributors; however, the room was empty. I continued wandering the boat, looking for another meeting room, or even another distributor. Finding neither, I began to wonder if I was the wrong boat. Eventually, I found a bar and it was packed with distributors. The convention had 247 listed attendees, all of whom were, at one time or another, in that bar. By the end of the evening, the ship was out of beer and had to make an unscheduled stop to build inventory. This time, double the normal amount of beer for a cruise was loaded onto the boat. Issues facing the industry in those days seemed much simpler than today. Outside of the ever persistent cloud of tax increases on the state level, the national issue the industry was dealing with was mandated deposits. Politically, only the boycotting of Coors in California was on the table as various organizations used the Coors family’s political views to help publish their individual causes. The California Coors distributors were not pleased, but outside of that state, the industry was relatively happy. Beer was growing and the light beer industry was on fire, having just been introduced earlier in the decade. 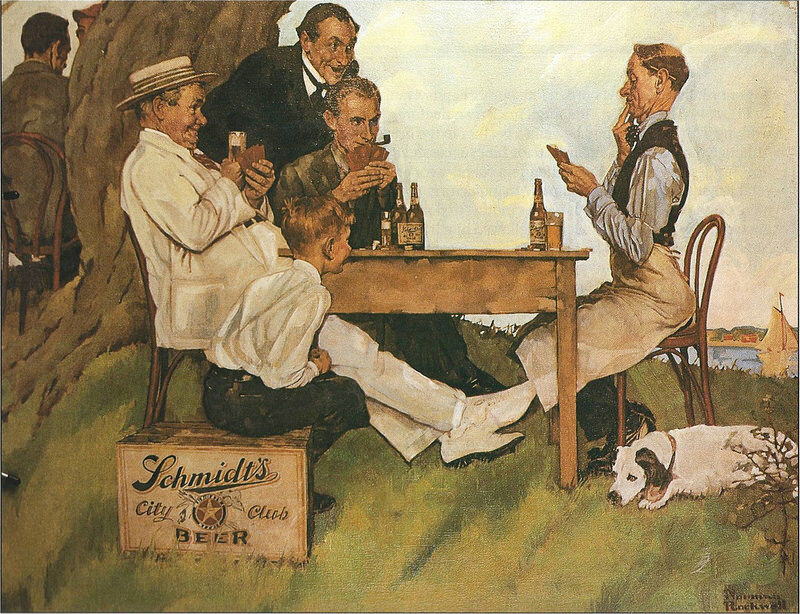 Consolidation had not started, Schlitz was still a viable brand, pricing was solid, pre-selling was off in the future, and, if you did over a million cases annually you were considered a big operation. All in all, the industry members were happy and profitable. You could easily see that level of satisfaction on the boat and when talking with all the distributors. The environment at this year’s NBWA will be much different from the days in the past. While the beer industry continues to be fun, pressures from inside and out are taking a toll on the industry’s attitudes. In some way, this is created by consolidation and the corporate cultures now embedded in the business. This is certainly not the case in the craft segment. At the recent Craft Brewers Conference, the environment was much more upbeat. Growth and opportunity were key subjects. It many ways, the convention was not unlike the conventions in the 70s and early 80s. It was exciting to see and fun to be around. The craft segment is not about surviving, but about growing and navigating through the various industry barriers and obstacles. In fact, many large distributors were in attendance, networking and attending seminars. Smart on their part. While the lines in the tiers are blurring, it is easy to see where the excitement is in this decade. Ability is what your capable of doing. Motivation determines what you do. Attitude determines how well you do it.. In the late 1980s, I joined Coast Distributors as the General Manager. Coast had been in existence for over 100 years, and still ownership was focused on the company’s long term plans. Immediately after joining the company, I led a committee to identify and design Coast’s long-term strategic growth plan. This strategy was centered on two key platforms: one, target key distributors in which to acquire; and, two, create organic growth from the existing portfolio, which was focused on Coors, a recent addition to the Oregon market. During this time, crafts were only one percent of the Oregon business, and were just beginning to gain real traction in the market. We had made a concerted effort to build a craft portfolio and were successful in so doing. Building the plan took well over a year of research and work. Coast was a family owned company, as were most distributors at that time. Shortly after the strategy was approved by the board, the next generation decided to sell the business and Coast became Mt. Hood Distributors. Over the ensuing years, the new ownership continued with the same strategy. Now Columbia, the distributorship has become one of the industry’s largest in the industry operating in Oregon, Washington and California. Last week was the Craft Brewers Conference in Philadelphia, attended by over 13,000 people. Along with the almost 900 exhibitors, were multiple seminars on every topic that dealt with the beer industry. Unlike other conventions, this one was upbeat. A topic I will discuss in a future post. One seminar was focused on craft beer strategies. The seminar was not only full, but there was standing room only outside the meeting hall and some attendees were even positioned down the hall center due to the overwhelming volume of interest. The question is why now: Why are people who have already started a brewery just now deciding it is time to develop a company strategy? College programs are springing up with multiple offerings of strategy classes to craft beer students. The University of Portland offers a program exclusively on craft strategies. Some find it intriguing that strategic thinking is now somewhat of an afterthought. Many crafts have been successful due to the growth of the segment, however all will, at one point or another, hit their respective wall. Then said brewery will have to determine exactly what they want to be. And this is when the strategic thinking comes into place. Do I sell? Do I reinvest and grow? Or do I just remain the same? Given the amount of money that has been paid to various craft breweries for all, or part of their business life, the money is certainly the engine which is driving the interest in the late focus on a strategic direction. Who can blame them? Perhaps the key is not just the future, but the past. Of course, there is always the emotional part of the decision making. One must remove the emotion and look at this from a business perceptive. Certainly easier said than done. Like all those beer distributors who have had to deal with selling out. It is a very hard decision. Regardless, it is just what the craft segment needs if it is to achieve the goal of growing larger. No matter the beauty of the strategy, one should occasionally look at the results…. Today, May 3rd, is the start of 2016’s Craft Brewers Conference in Philadelphia. This year’s convention has about 2,000 more registered attendees than last year’s convention, which was held in Portland. The 13,000 people in attendance will represent almost 900 exhibitors! An amazing number considering crafts represent only 12% of the US beer market. Without a repeat of the craft segment’s total numbers, consider that there are now over 4,000 breweries operating and over 6,000 brewing permits issued! Thirty five years ago, there were less than 50 breweries in the US. That growth is remarkable. Also what is remarkable is that just 10+ years ago, industry pundits and critics were claiming that despite the spirit industry’s innovation and growth, the stagnate beer industry offered no unique products and showed little innovation. Well, well, well, amazing how the crafts quieted those comments. Never before has the industry offered such original and impressive products, with more being produced daily. Consumers are supporting these flavors in growing numbers. In addition to the business as usual, you can expect the eminent topic among all attendees will be the proposed ABI/SAB acquisition and what ramifications such a deal will mean to the crafts. For crafts, the key to success is access to the marketplace if the AB network decides to cast their future exclusively with AB. Even with ABI’s assurances (to the senate hearings) that closing access to market will not happen, history has shown there may be a hidden agenda. With the upcoming elections, one wonders how involved ABI is with the candidates and supporting PACs. There is too much at stake for ABI not to cover all bases. It is politics! One of the recent issues facing crafts is just how much, if any, will ABI’s and MC’s aggressive price discounting affect the craft industry? Given crafts trends, this pricing may just be a war between ABI and MC, and dragging in Crown will produce little damage to crafts. Only time will tell. Needless to say, it will be a very interesting week for the industry, but no matter how, or what is happening, never before has the beer industry been as exciting as it is today. It is THE place to be! If you are attending the CBC, please come by and say hello. You can find me at the Portland State U. booth on Wednesday and Thursday morning. I would love to visit with each of you and pop a cold one! He was a wise man who invented beer….